After a drive from Agnes Water/Town of 1770, we arrived in Hervey Bay, a sleepy beachside town in Queensland. 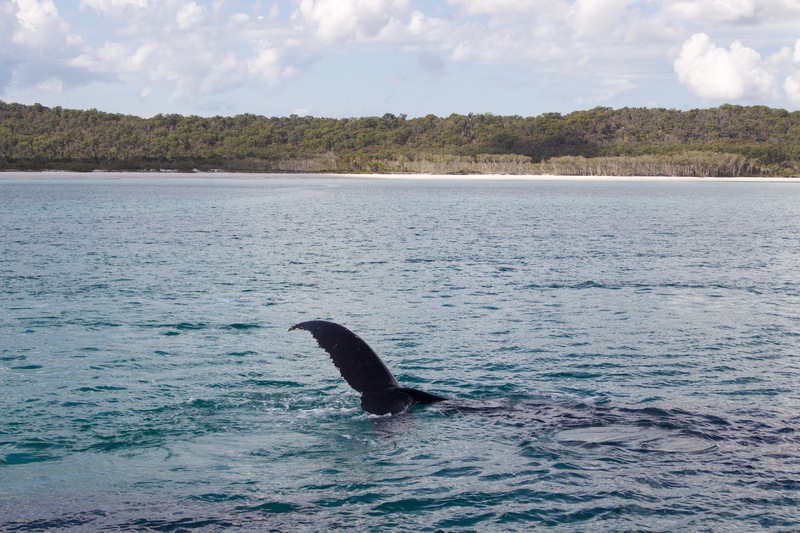 It’s known for being the jumping-off point for trips to Fraser Island as well as big beaches and whale watching opportunities. 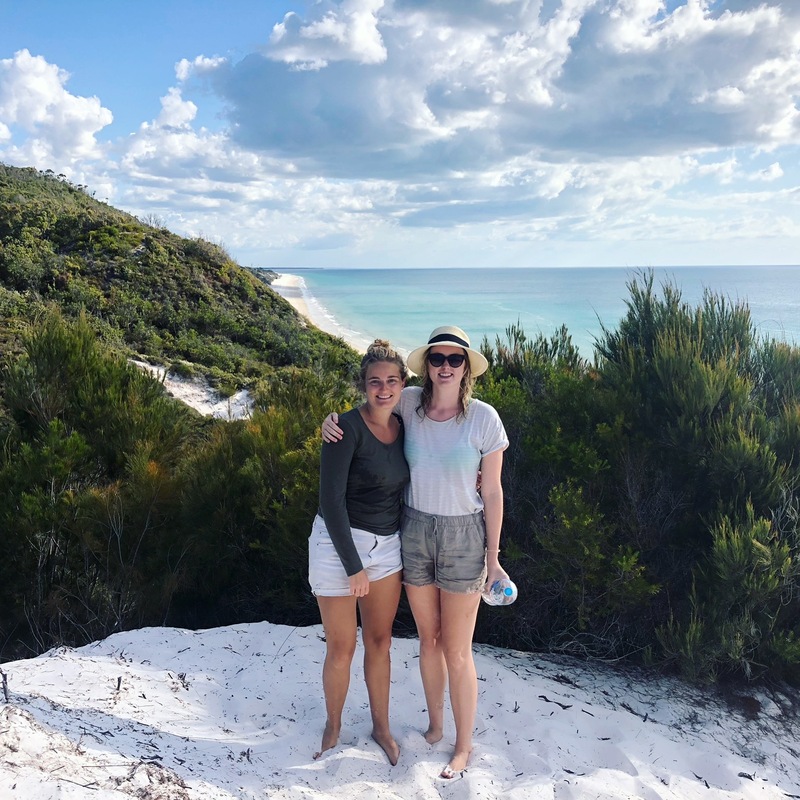 Many backpackers on the east coast road trip trek of Australia book a multi-day tour of Fraser Island, which includes overnight accommodation, lots of partying and 4-wheel driving on the sand. 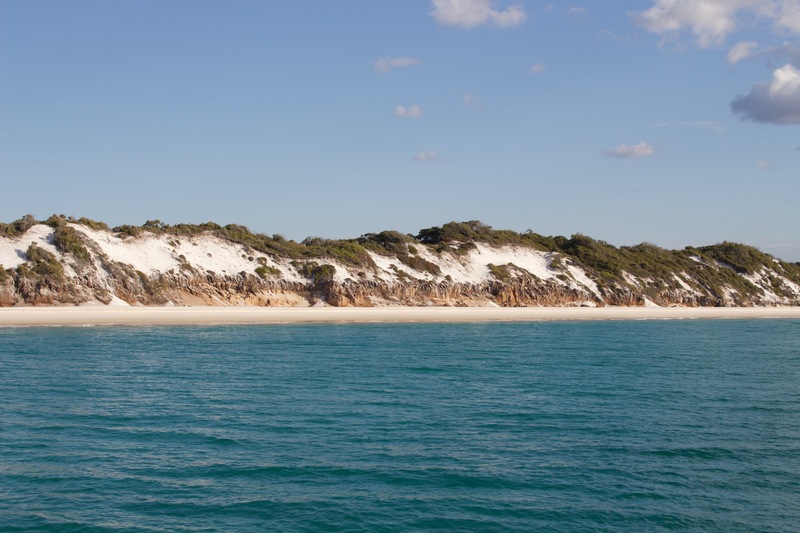 The sand of Fraser Island is a stunning white silica and there’s lots of preserved nature to enjoy. 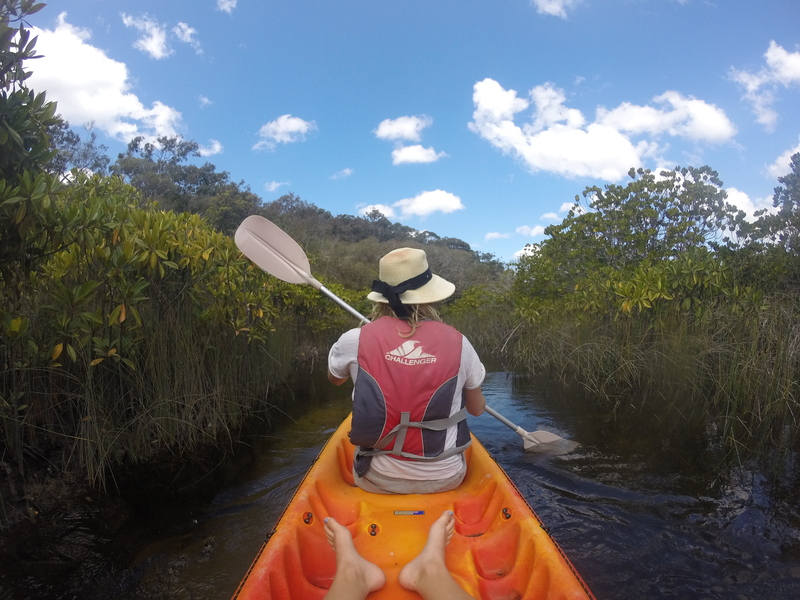 Due to time (and budget) constraints, we decided to forgo this option and instead booked a day tour with Tasman Ventures. 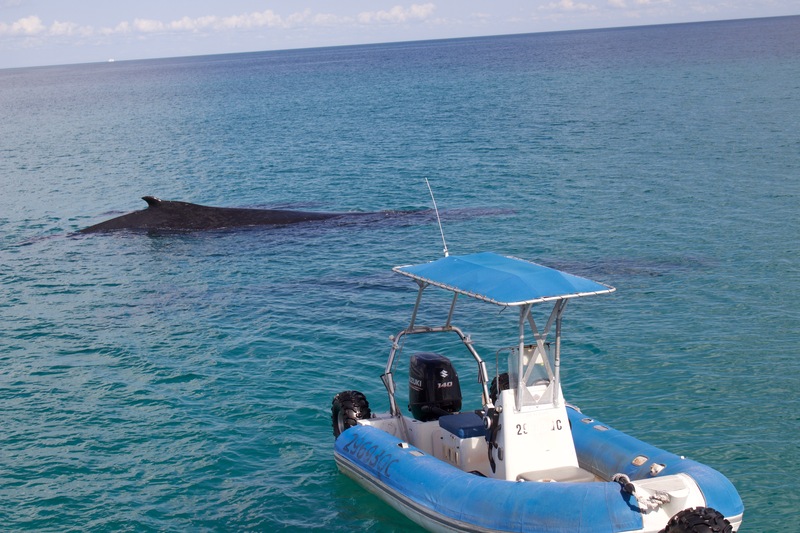 The day trip included a trip to the secluded side of the island and whale watching. The tour started with an early pickup, where we all climbed into a van and were driven down to the marina. While driving through a suburban neighborhood, a huge kangaroo was leaping through residents front yards. He must’ve realized it was time for him to get home to sleep for the day as all us tourists admired the unfamiliar scene. After a quick gathering and safety briefing, we got onboard the boat and set out cruising, intent on seeing as many humpback whales as possible. While I’ve been fortunate to have the opportunity to see whales and dolphins in the wild A LOT, since I had an internship with the Atlantic Whale and Dolphin Foundation in 2016, I had never seen humpback whales so this was a new and exciting venture for me. The captain and crew were incredibly friendly and helpful, providing tea and coffee in the morning and giving a great tour. It wasn’t long before we started to see whales emerging, their huge dark bodies cruising through the waves. I was amazed at how close they got to the boat, checking it out with curiosity, giving us a chance to get a good feeling for their size. 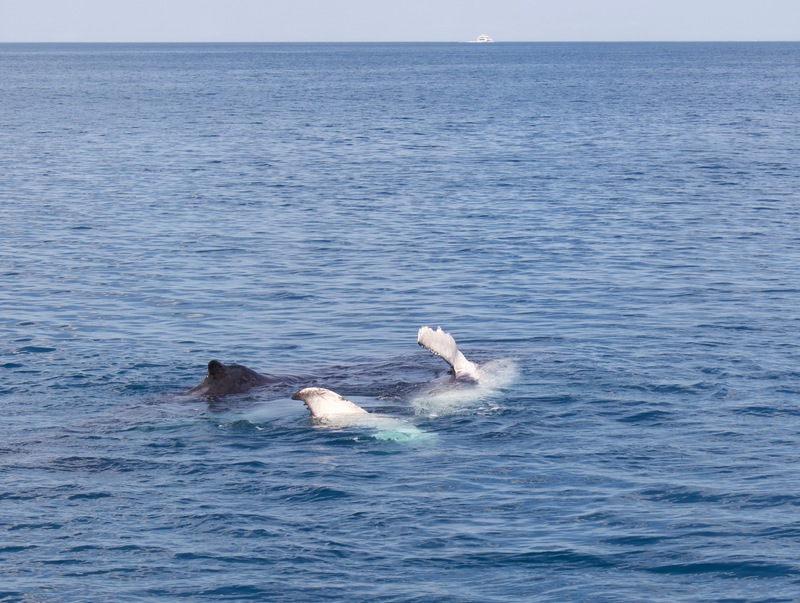 We saw a few babies swimming by their moms, as well as several large whales cruising together. Sometimes they poked their head out of the water vertically, a behavior called spy-hopping, checking us out. They also waved pectoral fins in the air, and hearing the whooshing sound of water being expelled from their blowholes amazed me each time. 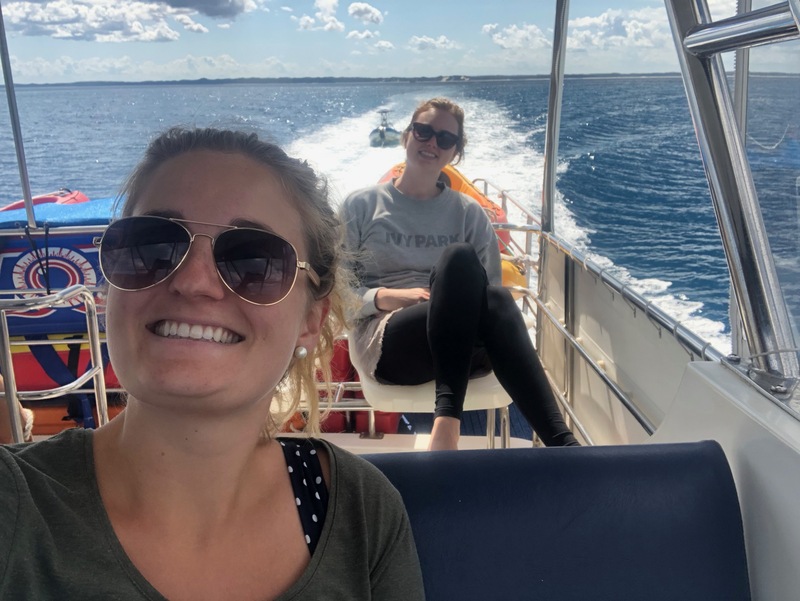 After a morning full of seeing lots of whales swimming about, the boat anchored and we climbed aboard the dinghy, “Sea Legs” for a ride to shore. 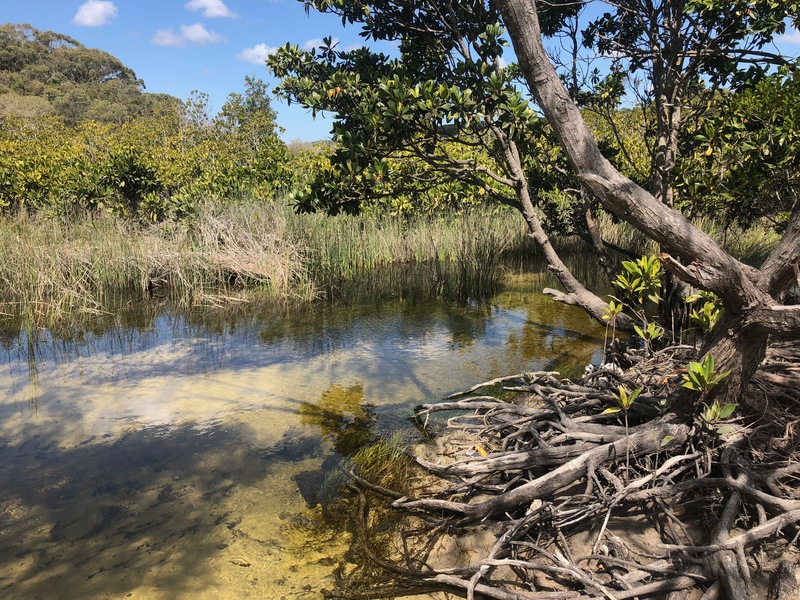 With this began our river kayaking into the island for a bit, seeing more of the flora and fauna and getting in an upper body workout during the trip. It was so peaceful – we were the only tour group on this side of the island, which made it the perfect place to take lots of photos without strangers getting in the way. We also went for a quick tubing ride, which I hadn’t done since being a kid, and it was sufficiently terrifying. I was convinced I would break my neck and questioned why I used to love it so much when I was younger. 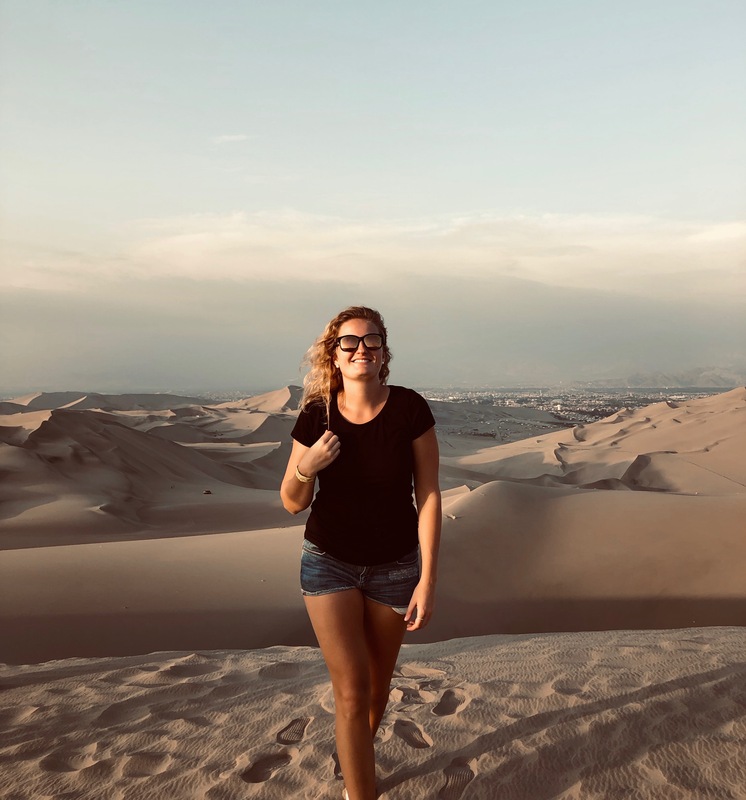 After all the fun, we closed out the day with a climb to the top of a sand dune on Fraser. That was one of the best leg workouts I’ve ever gotten, fighting the sugar-soft sand that seemed to dissolve beneath each step. Overall, the tour was a seamless and wonderful experience. The only part I would say they could eliminate from the tour is the snorkel, as the area on this side of the island is not rich in corals nor marine life, but I can understand why tourists in the summer sun would want a chance to get out and swim around, since we were here in the middle of winter, it was a bit too cold and lacked in interesting things to see to warrant the swim. I’d highly recommend any backpacker short on time while making their way down the east coast to book this tour. 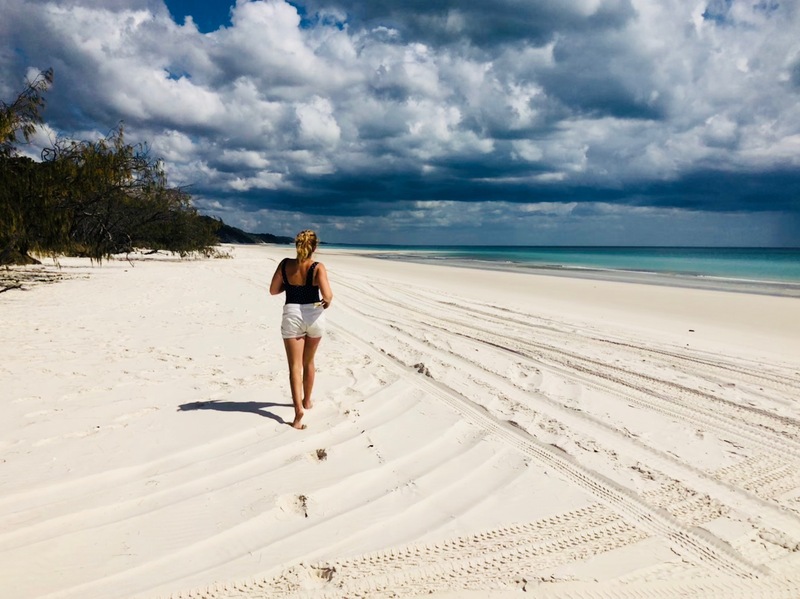 Have you visited Fraser Island? What was your experience?